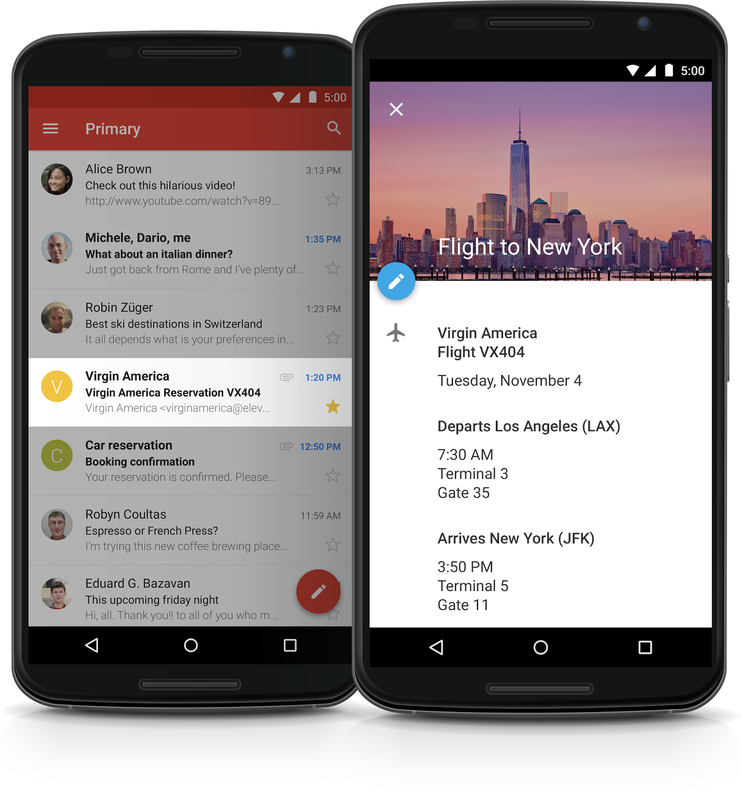 Today we’re introducing a brand new Google Calendar app. It’s designed to be a helpful assistant, so you can spend less time managing your day, and more time enjoying it. It takes a lot of work to stay on top of your schedule, after all. You have to manually enter that hotel or dinner reservation, then update it if your plans change. You have to hunt around for addresses and phone numbers, then add them to your events. And if you’re on a mobile device, you might just give up on these kinds of tasks entirely. Calendars (like email) should do better—especially on phones and tablets—so we set out to build one that’s always at your service. Here are just some of the ways the new Calendar app can help. Every time you book a flight, buy concert tickets, or make a hotel reservation, odds are you get an email with dates, times and other important details. But who has the time (or patience) to copy and paste all this into their calendar? In the new Calendar app these kinds of emails become events automatically, complete with things like flight numbers and check-in times. They’ll even stay updated in real time if your flight's delayed, or you receive another email update. Your calendar is more than just a list of dates and times—it’s your life! So Calendar’s new Schedule view includes photos and maps of the places you’re going, cityscapes of travel destinations, and illustrations of everyday events like dinner, drinks and yoga. These images will bring a little extra beauty to your day, and make it easy to see what’s going on at a glance—perfect for when you’re checking in from your phone or tablet. 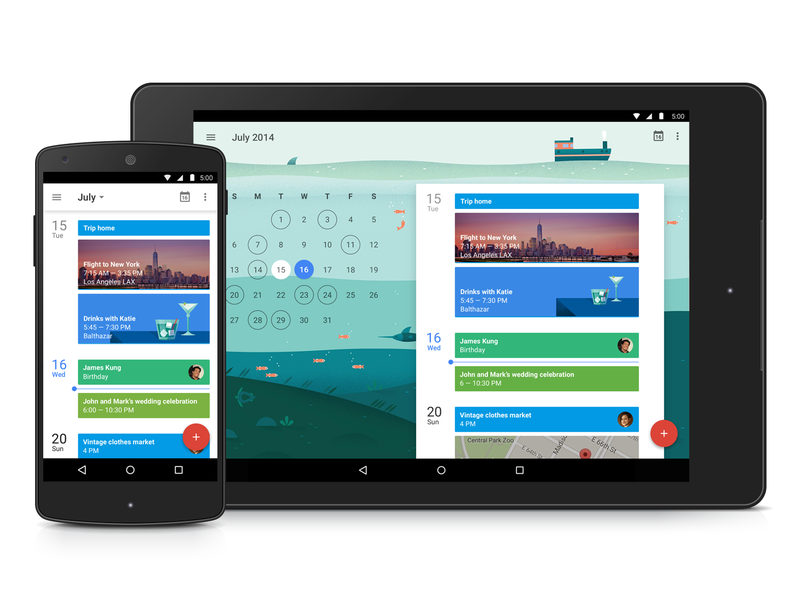 The new Google Calendar will work on all Android 4.1+ devices. It’s available today on all devices running Android 5.0 Lollipop, and you’ll be able to download the update from Google Play in the coming weeks. (And yes, we’re also working on a version for iPhone!) Learn more on our website.